Weather systems not always are quick or accurate enough to predict floods in time to prevent personal or environmental damages. The flood monitoring and warning system developed by ENVIRA IoT receives accurate and reliable information about real risks, so measures to protect the most vulnerable areas can be established and Public Administrations can collect real data to generate statistics for the design of optimal protection strategies. 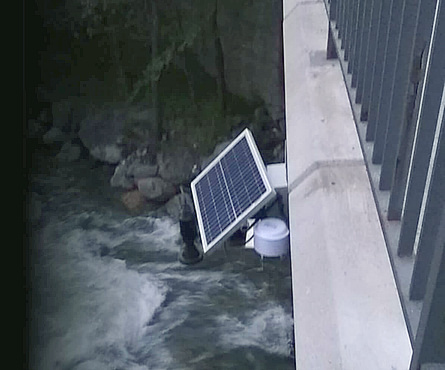 Wireless sensor network capturing relevant variables about the flow of rivers and streams (level, flow, speed, water temperature, etc.). A smart computer system for the exploitation of hydrometeorological and weather data captured to generate warnings and notifications for events that may involve a risk flooding situation. 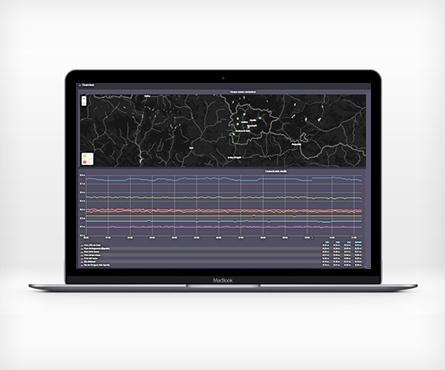 ENVIRA IoT’s system controls the flow and its behavior in real time detects possible water courses and alerts about the flood risk with real and accurate data. It includes autonomous stations located at strategic points, equipped with a datalogger that reads the data captured by the sensors. Besides the sensors for the level of watercourses, sensors for temperature and humidity, turbidity, water speed, capacity, etc. can be installed. A series of determinants identifying and predicting a certain event can be defined for each station, with the purpose of sending a warning to the control center and to the users predefined from the beginning. These meters include a radar sensor with a maximum range from 10 to 70 meters. This technology enables independent measurements of the environmental conditions and high availability because, due to the contactless monitoring principle, there is an absence of wear and maintenance. 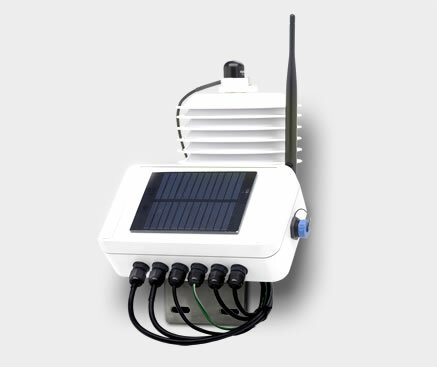 The flexibility of the firmware displayed at Nanoenvi® stations integrates the equipment directly with any kind of IoT platform or control center, both cloud-based and on-premise, by means of communication protocols (message format, communication and transport protocols, M2M networks) completely adapted to each case. The IoT Envira DS platform enables the reception, organization and exploitation of data, reporting the evolution of levels, flows and speed. If the emergency center receives a warning, they will be able to connect immediately and see the evolution of watercourses. Besides, although the data are sent to the center at planned intervals, it is possible to determine from the beginning the interval of time at which the platform will collect values unless there is a warning -in that case the communication would be immediate. The Dashboard displays the location of stations together with their synoptic information. Quickly and reliably, the operator can know the general state of each station in real time. The online stations are displayed in green, while the stations not communicating are displayed in red. Those stations in a green display the flow measured each moment: the larger is the station displayed on the dashboard, the larger is the river flow. With the data captured by the stations, the platform Envira DS can generate history graphics and reports to be exploited later on, automatically by smart machine learning systems or by knowledgeable and experienced staff specialized in hydrology and the environment. Acquisition and communication electronics continuously controls the level of water and the delivery of data to the control center at planned intervals. In case a preestablished level or flow is surpassed, it generates data communication through SMS or e-mails to the authorized users. The solution can be integrated with the early flood warning systems (EFWS) of Public Administrations. Timely detection of possible risks to floods and floods. 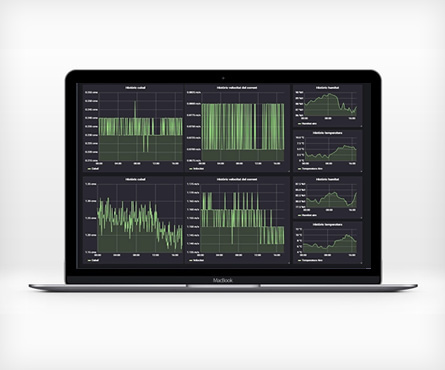 Highly reliable and available real-time data. Tailored solution that can be integrated with external developments at any level (device, connectivity, cloud or user application). Total adaptation and integration with emergency plans. Creation of history data for Administrations. Long working life of the equipment. ENVIRA IoT is an expert in the design and building of any type of monitoring and control systems in industrial environments, cities or farms.